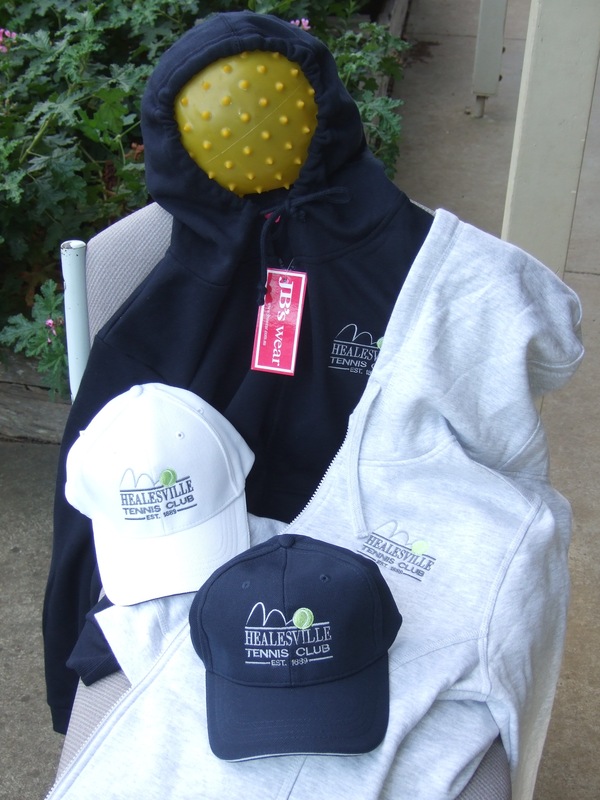 Hoodies – Now available to order with HTC Embroidered Logo on – pick any style any colour from Ezy Seen Shop on Highway at Eastend – get code number and size and fill out order form at QP Clubhouse and give to Beth. Lightweight $38 Adult / $35 Child or Fleecy lined $45. Hats – White or navy with HTC Logo Cost $15 each. Purchase through Beth or any Committee member. 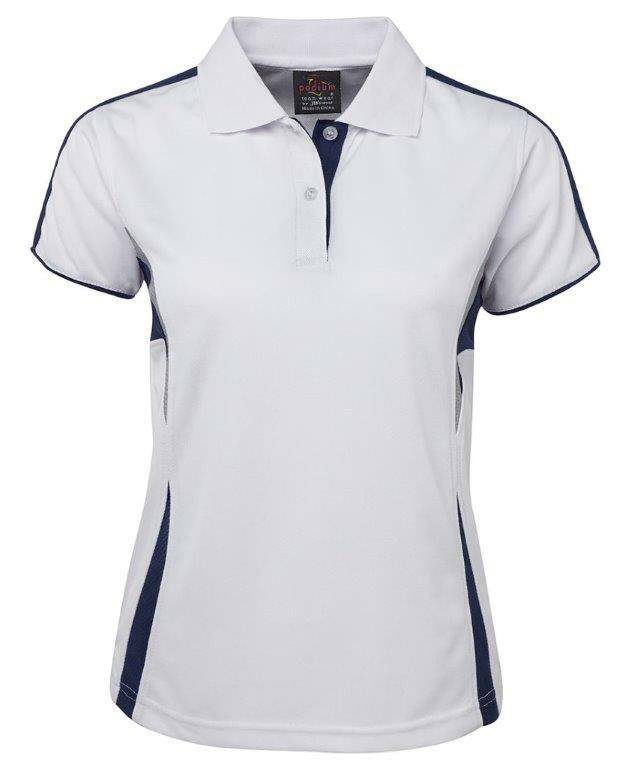 Polo shirts with HTC Logo are $26, Junior sizes are $24. The colour is white with navy. Enquiries to Beth Honeycombe: (03) 5962 5493. All designs and information are in the folder on the table in the Clubrooms. 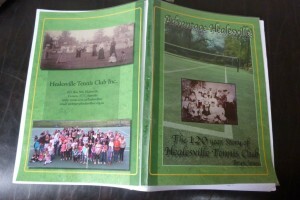 ‘Advantage Healesville’ Written by local Healesville historian; Bryn Jones. 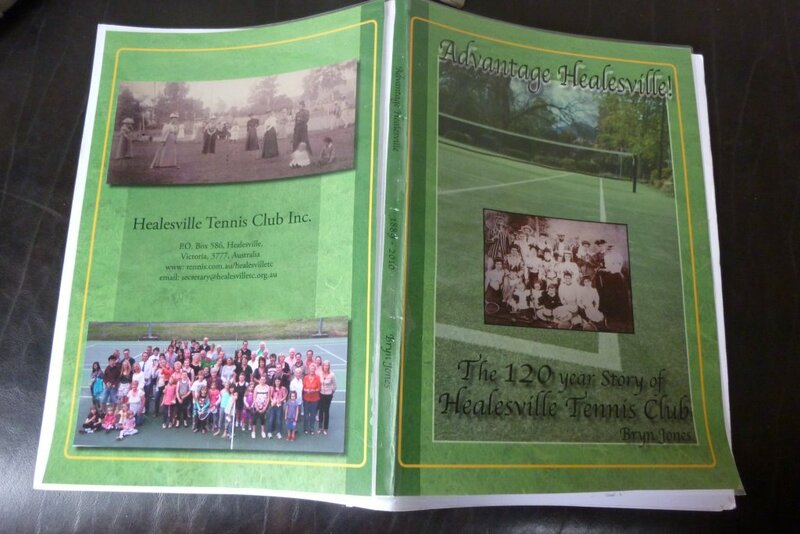 A 128 page book celebrating 120 years of Healesville Tennis Club. Includes 160 photographs dating from 1889. Cost: $20. To order, phone Kathy on (03) 5962 3639. Limited copies available.